Note from Renegade South: Vernon F. Dahmer, a well known Mississippi civil rights worker, was murdered in 1966 by white supremacists connected to the Ku Klux Klan. Before the night of January 10, 1966, when the Dahmer grocery store and home were firebombed, Vernon had been leading voter registration drives in his community. To facilitate that effort, he had recently placed a voter registration book in the grocery store he owned. 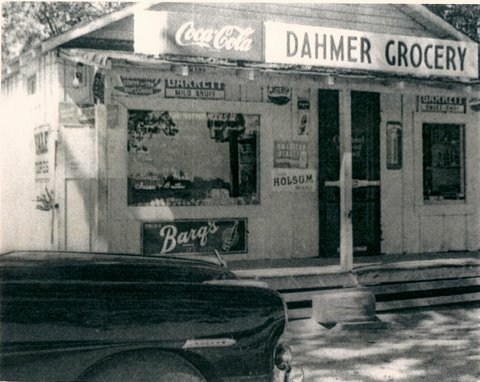 Vernon Dahmer’s grocery store, located on Monroe Road, 3.5 miles from the Jones County line. Photo courtesy of Vernon Dahmer, Jr. 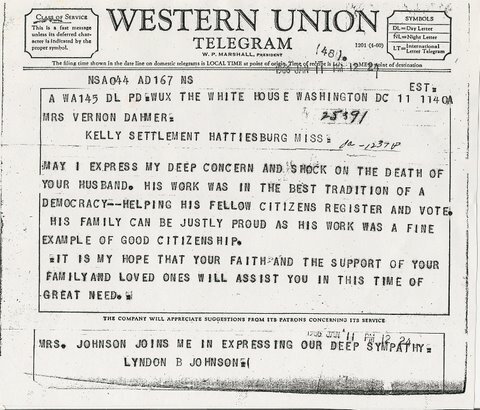 Telegram from President and Mrs. Lyndon B. Johnson expressing sympathy for the family of Vernon Dahmer. Courtesy of Vernon Dahmer, Jr. It took many years and five court trials to convict KKK Imperial Wizard Sam Bowers in 1998 of having ordered the murder of Vernon Dahmer. Today, Dahmer is revered for his courageous work on behalf of black civil rights. In honor of his memory, both a street and memorial park in Hattiesburg bear his name. The 1870 census for Twp 9 in NE Jones County, Mississippi, shows that fifteen-year-old Laura was living in the household of Ann Barnes, a 55-year-old mulatto woman born in Mississippi whose occupation was housekeeper. A young mulatto boy, Augustus, age 12, also lived in the home. Living next door to the Barnes family were Andrew and Annice (Brumfield) Dahmer. 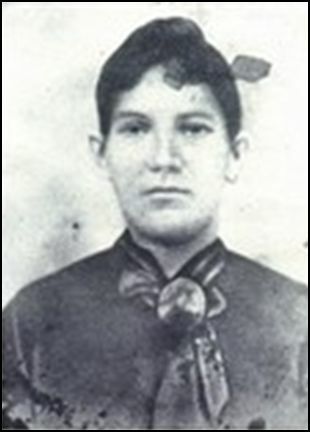 Laura Barnes, grandmother of Vernon Dahmer, Sr., courtesy of Vernon Dahmer, Jr.
Andrew Dahmer was born on 17 February 1836 in Hesse Darmstadt, Germany. After a series of crop failures in the 1840’s, emigration was regarded by many middle class German families as the only remedy against impoverishment in Bavaria, one of the most densely populated areas of Germany. Andrew, James, John, Peter and Henry Dahmer took the opportunity to leave the country for opportunities abroad. Andrew arrived in America in 1851. His brother, James, came the following year in 1852. The brothers first settled in Kirkwood, a suburb of St. Louis, Missouri, where they worked for a rich merchant named R. N. Bayley (Bailey). Peter joined them in the United States in 1865. After the Civil War, Andrew Dahmer and his brothers became traveling salesmen who peddled their wares in Wayne, Jones, and Perry Counties in Mississippi. 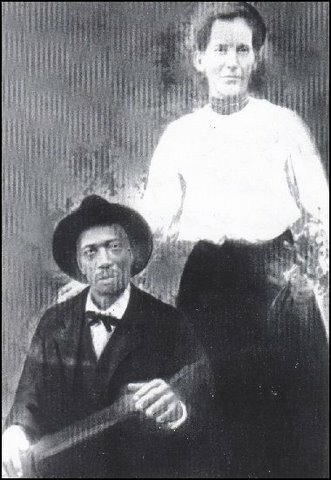 Andrew soon met and married Annice Brumfield, whose mother, Altamarah Knight Brumfield, was the aunt of Newt Knight. Andrew and Annice’s neighbor, Laura Barnes, met Andrew’s brother, Peter Dahmer, in the early 1870s. They began a relationship that resulted in the birth of a baby boy in 1872, who Laura named George Washington Dahmer. Peter apparently did not acknowledge his child, and soon moved to Chickasaw County with several brothers, where they farmed and built a mercantile business. For giving birth out of wedlock, Laura became a “marked woman.” During this period in her life, she operated a boarding house for the railroad and sawmill workers in northeast Covington County and near “Sullivan’s Hollow” in Smith County. The “Hollow” was notorious for its lawlessness and racial bigotry. Blacks were not welcome there. Black families that did live there were descendants of Craft and Sullivan slaves. Laura hired a black man from the hollow named Charlie Craft. Working closely together on her place, they soon fell in love and developed a relationship. This would bring trouble, because although Laura was raised by a mulatto woman and listed as mulatto on census records, whites still considered her off limits to a black man. Charlie and Laura Barnes Craft, grandparents of Vernon Dahmer. 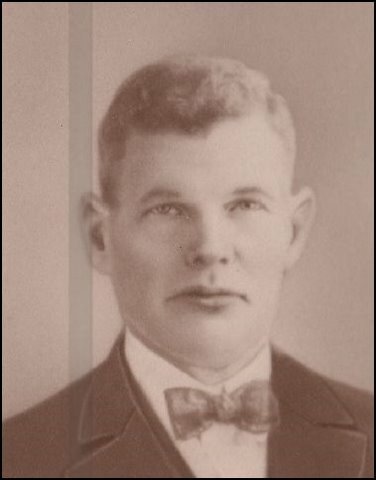 Photo courtesy of Vernon Dahmer, Jr.
Charlie Craft was born in Smith County, MS, around 1853. According to family history, he was part Creek Indian and part African, with piercing eyes and coal black straight hair. A former slave of Bryant Craft, Charlie was known as a man who had never run from a fight. Story has it that after a shootout with the infamous Sullivans, he left Smith County, but doubled back to spirit away his siblings. Because newly freed slaves were not welcome in Smith County, they moved to Covington County, where they settled on a ridge south of the Hollow in the Oakohay area. Here, they established a prosperous community called Hopewell. By 1880, thirty-year-old Charlie and twenty-eight-year old Laura lived in the Oakohay District. Four children lived with them: George (Laura’s son by Peter Dahmer), age 10; [Roxanne] Viola, age 7; Bettie, age 5; and Elnathan, age 2. All, including Laura and her son George, were listed as “mulattos” on the 1880 federal manuscript census for Covington County. Living nearby were Charlie Craft’s mother, Melvina, and several siblings. The area commonly known as Kelly Settlement was settled by John Kelly, a white man born in North Carolina about 1750. John and his wife, Amelia, left Hancock County, GA, and arrived in Mississippi in late 1819, settling in Perry County on land located in what is now North Forrest County, just across the Leaf River to the west. By 1820, the Kelly household included John, Amelia, sons Green, 16, and Osborne, 18, Osborne’s wife Joene, and nine slaves. Among these slaves were the parents of Sarah, whose descendants later formed Kelly Settlement. Although the 1820 federal manuscript census for Perry County listed no free blacks living in the household of John and Amelia Kelly, descendants claim that Sarah’s folks were not slaves, but free people who accompanied the Kelly family to Mississippi. After the Civil War, Sarah’s children began to homestead land, marry, and raise children. Working together as they had down on John Kelly’s place, they cleared the land to raise crops, cut timber, and hauled it to the Leaf River by oxen to float it down to the Gulf Coast. Laura Barnes Craft’s son, George Dahmer, moved to the Kelly community ahead of the rest of the Crafts. In 1895, George married Ellen Louvenia Kelly, the daughter of Warren Kelly and Henrietta McComb. Like his own mother, Laura, Ellen’s mother, Henrietta, was a white child born out of wedlock and given to a black family, the McCombs, to raise. The McCombs were living on the William Jenkins place when the Crafts arrived in Perry County. 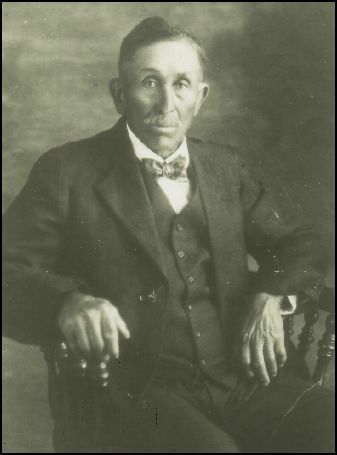 Ellen Kelly’s father, Warren Kelly, was the mulatto son of Green H. Kelly and the grandson of John Kelly, the original white settler of the area. Warren Kelly’s mother was Sarah, the daughter of John Kelly’s slaves (or perhaps free black servants). Warren Kelly, son of Green Kelly and Sarah Kelly, father of Ellen Kelly Dahmer, grandfather of Vernon Dahmer. Photo courtesy of Vernon Dahmer, Jr.
Ellen Louvenia Kelly, wife of George Dahmer, mother of Vernon Dahmer, daughter of Warren and Henrietta McComb Kelly. Photo courtesy of Vernon Dahmer, Jr. It was to this community that Charlie and Laura Barnes Craft fled with the aid of Laura’s son, George Dahmer. According to Wilmer Watts Backstrom (their great granddaughter), Charlie and Laura’s family lived in isolation for many years after being forced out of Covington County; they were prone to violent disagreements and exhibited heated tempers. This family drank heavily with much cursing. They lived down in the swamps isolated from the community until the children were all grown. As the children became adults, they gradually moved out of the swamps, married and had families of their own. Charlie was employed by Green Kelly as a night watchman on the Leaf River. He died before 1910 in Forrest County, MS. By that year, several of his and Laura’s children were married and living in Kelly Settlement, Beat 2 of Forrest County, MS. Although Laura’s name does not appear on the 1910 Census, she was still alive that year. 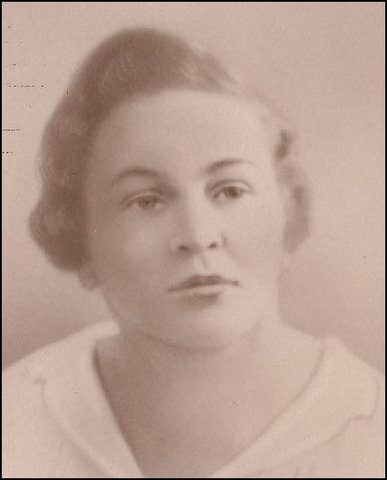 In 1920, she lived with her oldest child, daughter Roxanne Craft Watts, on the Dixie Highway, Forrest County, MS. Laura died on 5 June 1922, and is buried in the cemetery at Shady Grove Church in Eastabutchie, Jones County, MS.
Wilmer Watts Backstrom, granddaughter of Roxanne Craft, great-granddaughter of Charlie and Laura Barnes Craft. Photo courtesy of Vernon Dahmer, Jr.
Laura’s son and Charlie’s stepson, George Dahmer, identified as a black man even though his mother and biological father were white, demonstrating how strongly one’s racial identity is shaped by social experience. George and Ellen Kelly Dahmer were the parents of Vernon Dahmer. George was known as an honest, hardworking man of outstanding integrity, rich in character rather than worldly goods. Like his father, Vernon worked hard and became a successful storekeeper and commercial farmer. Before his tragic death, he served as music director and Sunday school teacher at the Shady Grove Baptist Church, as well as president of the Forrest County Chapter of the NAACP. He and his wife, Ellie Jewell Davis, were the parents of seven sons and one daughter. Vernon F. Dahmer, Sr. Photo courtesy of Vernon Dahmer, Jr. This is a very moving and powerful post. Thanks to you for posting it and to Yvonne Bivens and Wilmer Watts Backstrom for writing it. Mr. Dahmer is a hero. I am sure he is with Dr. King now, smiling down on us all, knowing that some day everyone truly will be free at last. None of us will stop working, thinking, writing, remembering and dreaming until that is finally so. Thank you so very much. I am pleased that you liked my research. So true, Karen Brown and Nolana Reese. Thank you both for your comments. What an awesome story. Great research. You did a great job with this post. You, and your co-author, put Mr. Dahmer into the minds and hearts of your readers. I hope that you continue to record your family’s history. I can’t tell you how deeply I identify with it, and how much I want to see it remembered. We had a store just like Mr. Dahmer’s store in our town, and men and women who were courageous, like Mr. Dahmer. The level of violence was just not as severe so everyone survived. What courage it took to do what Mr. Dahmer did! He, and men and women like him, helped pave the way for President Obama to be elected. Thank you for your good work. My late father was a friend of Mr. Vernon Dahmer Sr. and as a young man I remember him telling me of the struggle that Mr. Dahmer had just because of the color of his skin. My dad was a talker and he used to stop at Mr. Dahmer’s store in his travels and they would talk as long as time would allow. I am sure that they have since resumed those talks at the throne of our lord! My father had a geneaological connection through the Jackie Knight family. Newt was not the father of Altimirah Knight. Altimirah was the daughter of Jackie Knight and Keziah Davis and the sister to Albert Knight, who was Newt’s father. Thus she was Newt’s aunt. 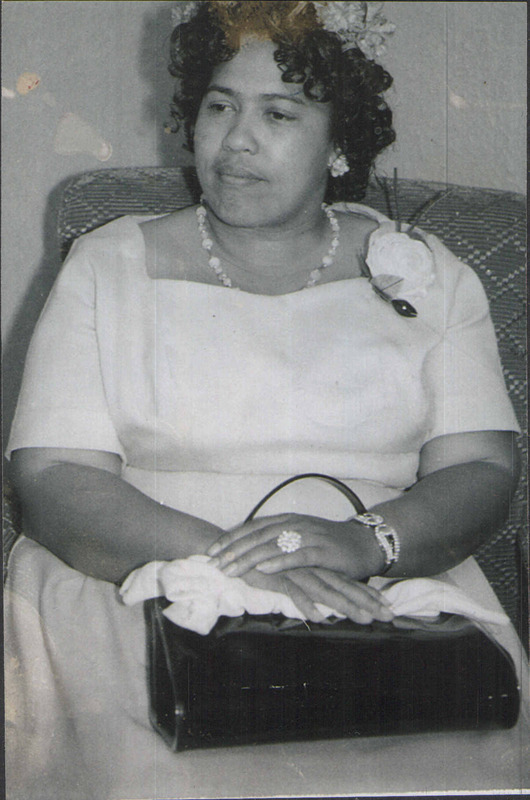 Altimirah was the grandmother of my grandmother and namesake Sarah Altimirah Black Gambrell. The Correct line is for Altimirah Knight is as follows. Annis (Ann) McKinnis (Kinnis) Brumfield (1849-?) m. Andrew Dahmer (1836-?). I believe that Andrew was a CSA veteran and a store owner. I remember in some of my dad’s old papers some account ledgers of his customers but they are long gone. I think all of the above are buried in the Jackie Knight Cem North of Hwy 84, just East of the Covington County line. It’s nice to hear from you, and thank you so much for the correction, for which I am at fault. I inadvertently wrote “daughter” instead of “aunt” when I transcribed Yvonne’s essay for Renegade South. I have made the necessary correction. Thanks for sharing your experiences and thoughts about the Dahmer family with Renegade South. Thank you so very, very much for this information. Mr. Vernon Dahmer is one of the individuals who inspired my civil rights activism. I was born and raised in Hattiesburg and learned to drive at a young age in Kelly Settlement. Every Saturday I would go by Mr. Dahmer’s store. At the time of his murder I was vice president of the Hattiesburg-Forrest County Youth Chapter NAACP. I have an indelible memory of attending his family hour and funeral services. I simply could not understand why someone would be killed for simply trying to register voters, but I somehow instinctively knew then that his death was a sacrifice in which my life would be improved. I made a conscientious decision at the family hour, the night before the funeral that his death would not be in vain. I will always try to honor that pledge. Thank you again so much for giving me an even deeper insight into his life and family history. I consider this a Black History gift. This was a very interesting piece. The author is to be commended on the fine job of research. However, I am a little confused. It sounds to me that at least some of the illegitimate children might have been biracial who were raised by the black families. This piece doesn’t explain how Vernon Dahmer, Sr. came to identify “himself” as African American. Is this article saying that for all practical purposes Vernon Dahmer, Sr. was really a Caucasian man? I am confused. The article states that Vernon, Sr. descended from George and Ellen Louvenia Kelly Dahmer–who were both Caucasians; but who were “considered” mullatto due to the social climate at the time. The photo of Vernon, Sr. is in black and white–but he does seem to have a coarse component to his otherwise fine (“good”) hair. How did that happen? It seems as if a piece of the puzzle might be missing. The only logical conclusion I can come up with is that his Mom must have been biracial –not just an illegitimate Caucasian who was simply “considered” to be mullatto (since the author clearly identifies George as being descended from two unmarried Caucasians). I am not criticizing your research–just wondering. I also cannot understand how his Caucasian parents raised him to conceive of himself as African American. Thanks for your comment and interesting questions about racial identification. I hope that either Yvonne or Wilmer will respond with their thoughts. However, the article also states that Ellen Kelly’s father, Warren Kelly, had both white and black ancestry, which would explain why Vernon Dahmer Sr. had some African characteristics. I would think that Vernon’s “choice” to identify as African American reflected the fact that he had more white ancestry than black, but I’ll leave it to the authors to comment on that. Thank you so much for replying to my post! I believe my post suggested that I deduced that the source of the African American ancestry was Ellen. I do hope that the authors will comment on how Vernon came to identify himself so intently with the African American community. As we know, anyone who helped blacks to register to vote (or do other progressive things) were in danger at that time in our country’s history. I am continuing to enjoy the comments posted here. In fact, I am using some of this information for one of my classes. Thank you for moderating this forum also. As far as I can tell everyone has been totally respectful. It is very nice to post a comment and get a response. Kudos! I welcome questions and comments such as yours, and am delighted to know that you have found this site interesting and useful for classroom use. I’m sorry that the author, Yvonne Bivins, has not responded to your comments. I’ve not heard from her in some time, and presume that she is not visiting Renegade South at this time. Hope you’ll continue to visit and comment on Renegade South! Let me apologize for not responding to your comments nor accessing the blog for such a long while. Family circumstances beyond my control kept me busy and I just did not have the time to put into my research. Because Mississippians were intent on keeping the white race pure, anyone who had at least one grandparent who was black or suspected of having African blood was considered black no matter how white you looked. Vernon Dahmer grew up in a community that was settled by his white ancestors and worked by his black ancestors who their slaves. It is true that his great grandmother, Sarah Kelly, was a black slave, owned by his great grandfahter, Green Kelly therefore by Mississippi Law, he was a black man. His grandmother, Laura, was raised in a black household and because of this association, she was considered black. I hope that this is not too confusing, lol. Ms T A: It is a little confusing, but the article made the point that George Dahmer, not Vernon Dahmer, identified himself as black even though his biological parents were white. Still, it is still impossible to say for sure that his mother was 100% European. So this article is saying that it was a practice to give the illegitimate children of white females (by white males, I presume) to mulattoes or officially “colored” people to raise? Is there any more information about this practice? With respect to customs related to race mixing: As an aside or “rabbit trail”–I have a dear friend –who is now deceased unfortunately (2008), who shared with me that where she grew up in the country (rural Alabama) that white men would often have “two” completely different families co-existing in the same locales (of course in their respective parts of town). She told me that they would have their legitimate families and children with white women –meanwhile, on the “other side of town” they would have an entire family of black children with a black woman. She told me that these men considered that the black women “belonged” to them (I could not tell you if she meant common law marriage or actual ownership). She states that these women could not marry black men and that if they tried to get away from the white men that they would threaten to kill them. I wish she had lived so I could get more information about this. My suspicion is that the black women were probably mulattoes. My friend was about 74 when she passed away in 2008. So this would have been in the 40s and 50s, I guess. I do not mean to get off the subject. What I am really trying to bring out is that as late as the twentieth century, apparently, race mixing was handled in very strange ways. Apparently, the white men suffered no social stigmatism from having the black families and it was the sort of thing that nobody talked about –but everybody knew was going on. This is why I suspect that the common law wives were mulattoes. Also, apparently, these men were racists in their mainstream lives. What a contradiction–or perhaps, not really? Vikki, have you heard of stories like this? Thanks; it’s great to hear from you! What your friend described to you is indeed an important part of recent as well as distant Southern history. It’s a “custom” that reveals how distorted our ideas about race are, since the children of such unions are as equally “white” as they are “black.” Yet our society still tries to divide its population between whites and blacks, often accusing mixed-race people of “passing,” a notion rooted in the assumption that “one drop” of African heritage determines one’s racial identity. Ann Moody’s classic autobiography, Coming of Age in Mississippi, has much to say about white men who fathered families on the side with women of color during the ’40s and ’50s, and a wonderful section about her confusion as a child over “black” relatives with “white” skin. If you haven’t already read it I highly recommend you do! Thanks for replying. WOW! So what my friend told me really did happen?! My friend, in fact, lost her mom when she was very young. She was *extremely* fair –and I wonder if she was really talking about herself. You know, Vikki, I am trying very hard to put myself in those men’s shoes. But how can you father black children by night–and support their oppression by day? I suppose (as you may have been implying) this is no different than the slave owners fathering children with their slaves. It seems such a contradiction to me, though. Thank you for the book reference. No, I have never heard of it; and would really be interested in reading Ann Moody’s book. Vikki, “Thank You” for your fine work here–and for creating a place for the Ole South (good and bad) in our modern lives. Good questions! Sometimes it’s easier to resolve the seeming contradiction of white men fathering children across racial lines, while yet advocating racial oppression, when we remember that many sexual relations are exploitive rather than loving without being connected to race relations or one’s gender. It’s also true, however, that people often develop emotional ties to people they feel are inferior to them. The way in which they relate to children from such relationships is even more complicated, and varies tremendously. What I love about Ann Moody’s book is that it deals with such insight and sensitivity with these issues, never giving simple or one-dimensional answers. I believe it was published in 1963, yet it is never dated. Thanks for raising an important question. I too wondered when I read this essay, which includes two instances in which family tradition holds that an illegitimate white child was given to a person of color to raise, whether this was a common practice. I had never before read of such a practice, yet I can imagine it happening. It seems to me to a perfect example of the convergence of class and race, and reminds me of the South’s apprenticeship system before the Civil War. Illegitimate children of both “white” and “colored” free mothers were often apprenticed out to white property-holders of their county. In essence, the status of poor white illegitimate children was merged with free “mulatto” children. There was an important difference, however. In the cases among the Dahmer ancestors, illegitimate children appear to have been informally “given” to mulatto families. Under the apprenticeship system, the state assumed legal custody over such children, and contracted them to white families who benefited from their labor. Class, race, AND the law thus converged. As your comments demonstrate, the Dahmer article raises important questions about the very meaning as well as construction of race. One last word, we call people like the “white supremacist” who caused the death of Vernon Dahmer, Sr. today “terrorists”. As Americans, I feel that our culture looks down its nose at Al Qaeda and acts as if we are morally superior somehow. I am not a supporter or sympathizer of the movement–you understand. I am just saying –we need to look at ourselves and see if there is not perhaps a legacy that is being played out here. I challenge readers of this blog to think about the social millieu they live in today. Why haven’t those surviving perpetrators of murder during the days of segregation been brought to justice? For instance, in the case of Emmett Till and the Vernon Dahmer family –has justice ever been truly carried out? We go searching around the world for members of Al-Qaeda–when many families right here in America are still waiting for justice. How ironic–or diabolical? You make an important point. Our “home grown” terrorists are far too numerous for us to assume that we have only outside acts of terrorism to fear. http://xroads.virginia.edu/~hyper/Jacobs/hj-cover.htm. I am a nurse by profession (so how did I end up here on this blog!? [LOL]), so I had never heard of this book, I don’t think. It is really intriguing and very hard to stop reading. I also intend on following up on the other sources that you provided. I hope you continue you fine work. I feel deeply enriched by it. Thank you for your good words! I am so pleased that you are enjoying the Harriet Jacobs book, and that you provided a link to it for other readers. I hope that you will continue to comment on Renegade South whenever the spirit moves you. I just found out tonight my Great Great Great Grandmother was Laura Barnes Craft. I’m in total aw. I didn’t know this side of my family. My dad introduces this site to me and I’ve heard stories for many years about these folks when I was a teen. I saw pictures when I was a kid. It didn’t come to prospective until tonight after reading this biography. I will write later when I can pull my thoughts together. I didn’t know such American blood runs though my veins. I hope that we really will be hearing from you once you get your bearings again. I would love to hear your perspectives on Vikki’s fine work here. I believe Mrs. Bivins did an excellent job on the Dahmer article. I hope she is considering writing a book. The world should really know about the Dahmer family and what happened to Vernon for his beliefs. What a shame to deprive a family of such a fine father and leader in the African American community! You are descended from a group of very courageous and special people. Imagine how courageous Laura had to have been to marry a black man back then? The mixture of such a deep heartfelt love–untempered by the horrors of life in the Ole South is very compelling and intriguing to me. I have truly been bit by that bug that brings a love for the history and events of the Ole South. I am looking forward to hearing from you –don’t forget about us (“us” being the faithful readers of this blog). Like you, I so appreciate this essay submitted by Yvonne Bivins. It is one of the most important–and often read–essays on Renegade South. And thank you for your comments; I appreciate them as well! So glad you found this site, and look forward to hearing from you again! Thank you all. I deeply appreciate your quick response. I am 45 years old and live in California. Recently retired from the military. I am veteran of the Afghanistan, Iraq and Bosnian wars. I helped in Desert Storm also. I speak for my immediate family when I say Thank you Ms Bivins very seriously. I don’t know how to repay you but I will try. I would like to contact you formally. All my life I knew something was inside of me that was more than the average guy. I was successful in all my endeavors. I am a fighter in all aspects. I grew up in Detroit Mi and the weird part was growing up among majority black people, I was always called a black white guy. Now I see why,,, LOL. I have a beautiful wife who is half German and Russian. One Daughter who (just finding out) she is mixed with the entire spectrum. I spoke to my dad yesterday and he expresses his approval on me responding to you on this blog. I want to do my part and make sure this story is a part of the American lexicon. Please direct me in the right direction and let me know what I can do to help keep Vernon Dahmer in the American Lexicon? I’m sure there are more chapters, I want it all. I will make certain that Yvonne Bivins sees your comments so that she can respond to you directly. Thank you–and your father–for sharing your experience on Renegade South! Totally awesome, Mr OD! Thank you for sharing. May I also say that it is extraordinary that you are able to embrace both sides of your ancestry. You seem to have the same courage exhibited by your ancestors (and now you can understand part of the reason why). How completely marvelous! I am glad you found Vikki’s work. Like you, I feel very enriched by what I have been exposed to here. I hope you will fully explore the blog. We had some real characters in the Ole South! I say “we” b/c I am native to the deep south–and I embrace all that is a part of southern history. There is an awesome mixture of the poignant and horrific in southern history. I enjoy learning more about it. May I also admit my ignorance. I have learned so much new information since reading the blog. I have a degree in Sociology and have always been interested in anything related to cultural history. There seems to have been so much left out of the southern history I was taught. I am happy to have Vikki (and her cohorts, like Mrs. Bivins) fill in the gaps. Great comments and I am always available for any help on this subject. Ms TA, Thanks for your comments also, I agree with each sentence. My large gap is filling up but I have a hunger for more. I’ve been talking to my mom and dad everyday. The big difference is I am really listening to what they are saying about the family. Ms Yvonne Bivins, I want to make you officially part of my family. I’ve learned more from you in a week’s time than I have learned in my life time. I have been searching for sometime for the Kelly`s of chickasaw county. Warren Kelly in particular. I live here still and have been told that my family was from here. This history has touched my heart deeply and would be quite proud if I am somehow a part of this family. Wish me luck as my search continues! I do wish you luck, Amy! Hopefully there are some researchers of the Chickasaw County Kellys out there who will see your comment and respond to it. I grew up in Hattiesburg, Ms and was 14 at the time Vernon Dahmer was murdered. I remember my father, who delivered mail to the Dahmer family, actually crying. (I had never seen my Daddy cry) As the years have rolled on, I have had an interest in the Dahmer family and Freedom Summer. I read and study all I can find. That summer my sister, brother, and myself weren’t permitted to go to town. (We are white) As an adult, I have met several of the Dahmers, and I can say, they follow the footsteps of Mr. Vernon Dahmer. The sons and grandsons all do their military time, and all the children get an education. I am a white woman who is proud to say the Dahmers are my neighbors, even if it is ten miles to their home place from my home in Jones County. Thank you so much for taking time to write Renegade South and sharing your experience of this tragedy. You provide an interesting historical account of how living as close to the Dahmers as you did has changed your own perspective on the world around you. The woman who started this journey is in the hospital now. Her memories bridged the gap in our lives. Our hope and prayers are with her. Who are you referring to? Please let us know! Talking about Miss Wilma Watts Backstrom. I met her once in my like. She was the one who keep this story alive. Hi you all and thanks for posting this information. I’ve been following Mr. Vernon Dahmer history on the internet as far back as 1997. Back then there was very little information on-line. But in the last several years I’ve seen some of the Family on TV, even though I know neither of them closely nor them me, I was extremely excited to see them. Then the klansman from Laurel was convicted, HOORAY. I’ve always been interested in the klan murder of Mr. Vernon Dahmer. I first learned about Mr. Vernon Dahmer from a friend (Benjamin Ellis), we were in the Army and he would always recite this story, the story about the Civil Rights Fighter who lived in his area that was murdered by the kkk. At the time I’d never heard the history of Mr. Vernon Dahmer. Then I ended up down in the swamp and staying for a year or two. Anytime we’d pass the store I’d look at the site across the street and start questioning Ben, he got tired of that. But that‘s how interested I was in Civil Rights History. I still question Benjamin Ellis every now and then. Betty’s just like a Civil Rights Fighter to me, good show on TV Betty, I’m proud of you. Thanks, Tony, for telling your story on Renegade South. This is how we learn. Is it certain that Laura and Gus were not brother and sister? The reason I ask is that Gus was my mother’s grandfather, and my mother looks alot like Laura! Hi Mae, it looks like we are family. Gus is my great-great grandfather. Thanks for your message to Renegade South, Francina; I hope you are able to make contact with other family members. I have sent you a private email and look forward to hearing back from you. Please put us on your reunion list. Vernon was my husband’s great-uncle, too (through Linnie). You two are cousins. Is Linnie LONGINO? Ihave only met Vernon Jr, Harold and Alvin. El Nathan is my Great Grandfather. Robin – Linnie was Vernon’s older sister. Longino was a brother. @ Francina, Joyce and Dorie Ladner were from the Hattiesburg area and both knew Mr Vernon Dahmer well. They are both well known civil rights activists. The Ladner Sisters as well as Anne Moody attended Tougaloo College. This college was a private institution that welcomed activists and had many of them to speak and sleep on the campus where the gates could be locked , in spite of the objections of white agitators who wanted access to them for evil purposes. They ( the sisters ) may be able to furnish more information about the family members. Joyce Ladner does have a Face Book page where you may send her a private message. Glad you enjoyed it. Yvonne and Dahmer family members have done great work in pulling this information together! I’m so pleased they made it avaliable to Renegade South. I am so proud to be a family member of the kelly settlement/Dahmer clan. I was told all kinds of stories while growing up, but Sondra really put this one together! The article answered a lot of questions in my mind about my heritage. A lot of people always mistake my mom as white and are always asking me what race I am . I would tell them we are multiracial, which I know for sure now. It;s great to look at pics of family that were here before my time and read their history. I told her already to keep up the good work! I’m ready to read more! I love history this was just great reading and a learning experience. Great work. I meet a member of the Dahmer family and she shared this with me. I came home and immediately started reading. Do you have a book Yet? My name is Brenda L. Watts, and I watched a story of Vernon Dahmer, on a Special and became highly interested in The cause and Death of This guys’ life and who and why he was so unjustily murdered so many years’ ago. My Dad and many of My much older relatives’ are now deceased, by searching thru and looking at a lot of pictures’ of this family, I have come to the realization that Vernon and his children may be a relative of mines. My Grandfather name was John Watts, in which I have never known and do not know what he looks’ like, he passed away when my Dad was 16 years’ old. I had a aunt name Wilma, My Grandmother had a total of 15 children in which she did have a two sets’ of twins’, one set died at birth, what else came to the realization that you guys’ may be related to me, is because, my Grandmother and many of my other relatives’ are buried at Shady Oaks Cemetary in Mississippi, in which I have never visted there but one day would like to go. Please if you will, can someone get in contact with me. There are several of us doing work on the Dahmer/Kelly family line. If you can give us a bit more information (last names/dates), we may be able to help. Feel free to contact me or post more information. my name is Oglesby Durham. i think we are related and I knew Wilma from my dad. i met her when my grandfather passed. I think your relatives are buried at the Shady Grove Baptist Church cementary. One of them is buried in the Warren Kelly Cementary. Your aunt Wilma was a cousin of my dad, Vernon F. DAHMER, Sr., all are buried in Kelly Settlement, which is located on the Forrest and Jones county Mississippi line. 05/27/2013 I have just watched the BIO of Vernon Dahmer. It is so appalling watching what the Klan had done to this fine family. How does this family not hold hate an anger for the white race? I was born in the early 60’s, which was still filled with ignorance but as I aged things were changing but never soon enough!! God Bless this family and all that they have been through!! I am just ashamed at the way people can act toward another human being! And to think that Vernon’s sons were all In the military and protecting the same people who would treat their family in such a manner! Shocking, what are people thinking!! So sad! I agree, Stormy, and thank you for your comment! Where was the bio shown? I am 41yrs old and I grew up in In Kelly Settlement and it was great to read about the origins of my beloved community. I actually grew up as we say in Mississippi “through the woods” from the Dahmer’s. 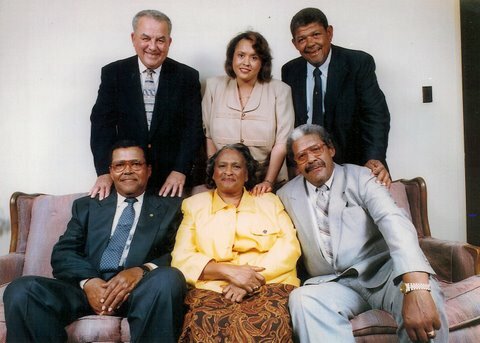 Vernon Dahmer’s grandchildren are some of my closest and oldest friends. We used to play in those woods in Kelly Settlement that you describe so eloquently in you post. What captured my attention is how all the families are tied together, I have viewed those names several times at the Shady Grove Baptist Church cemetery where all of my ancestors are also buried. I visited this summer and spent an hour in the cemetery viewing the dates and names on the graves. There is so much history in Kelly Settlement and wonderful families that still live there now.We have so much pride being from Kelly Settlement and it is derived from the fight of Vernon Dahmer and the rest of the ancestors who paved the way for our 100% citizenship in this country. I want every person from Kelly Settlement to read this wonderful post of yours. I am sending out the link now to everyone, it was great. P.S. Mrs. Wilma Backstrom was a beautiful, strong and sassy woman she was my grandmothers best friend and strong influence on all of our lives from Kelly Settlement. Saw your Uncles, Aunts and cousins at Shady Grove Baptist Church service about 2 weeks ago. Mrs. Sue, Mrs. Mary Ann, Mrs, Myrtis, Cousin Wilma and others were the best of friends, all signing in the Senior choir. Thank you for researching and writing this very fine article. 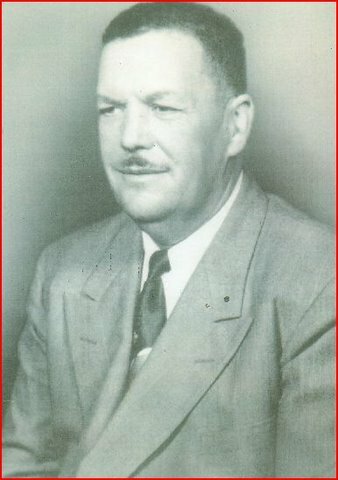 I knew Vernon Dahmer, his wife Ellie, and their children. Vernon’s sister, Eileen Dahmer Beard was my mother’s closest friend and we attended the same church. Her husband, Kenneth, was also very close to my parents. Their only child, Lana, is still a close friend of my family. I attended the same high school as the Dahmer children. Vernon Dahmer was a fearless fighter for social justice, as was his sister. Eileen. He was instrumental in organizing our NAACP Youth Chapter. The Dahmers’ and the Beards’ were also very close to their neighbor, Clyde Kennard, who was sent to prison for attempting to attend the all-white Mississippi Southern College. When I was about thirteen or fourteen they took my sister and me to the statewide NAACP meetings in Jackson. I shall be forever grateful to them for their contributions to civil rights and for the profound influence they had on my life. Reblogged this on Renegade South. Thanks for this important and inspiring post. Civil,rights struggle really was epic story that bears constant repeating and reinforcing. Eyes on the prize! Regards Thom. This is a fascinating article, I’ve recently researched my family history. Per the US Census, for generations my family was listed as Mulatto, which was expected. However, through oral tradition a story was passed down that our racial diversity began when a white child was left on the doorstep of slaves. I thought it was too incredulous to be true. Reading your article was eye opening to me beyond belief, it appears that this was a common practice for babies born out of wedlock during the slave era – I cant tell you how much I appreciate this information! Thank You, Bea, for sharing your family’s story. So often, stories passed down through the years seem incredulous until we learn that there are historical precedents for them! Thank you for this article. I stumbled upon this article while looking for information on my family. Ann Barnes is my great-great-great grandmother. My grandmother’s father was Henry Barnes, one Augustus Barnes sons. My father never knew the story of Laura Barnes just that Gus had a sister. After reading this article, I have been trying to find out even more information on the Barnes family. Hello Everyone. So glad to learn of this article. I am also a descendant of Charlie and Laura Craft. My name is also Laura Craft (married last name is Eummer). My grandfather was Colon Craft (son of Charlie and Laura), my father was William Craft. I am originally from Detroit, Michigan, but now live near San Francisco, California. I still have other Craft relatives in Detroit (JulieAnn, Maryellen, and Colon). I look forward to hearing from you or other relatives. My email address is: LCRAFTEUMMER@YAHOO.COM. Hi my name is Loretta Barnes, I am related to Vernon Dahmer. My Great Grandfather is Gus Barnes, my Grandfather is Elex Barnes, my father name is L.C. Barnes. I would like 2 know more about my history. My name is Dennis Dahmer, Vernon F. DAHMER, Sr. is my father. Don’t know a lot about the Barnes, but do remember the name Gus Barnes comming up in family conversations. I would like to meet some of the Barnes. Do you live in the Hopewell community? John and/or Greene Kelly may or may not be in my family line (I born in Jones County, Mississippi in 1948 ) and I have found the stories here quite riveting. I have found slave owners in my family line and it is saddening.